Was Joanna of Navarre, Dowager Queen of England, guilty of necromancy? So Halloween is approaching and thoughts turn to witchcraft with bats and black cats and things that go bump in the night. All light-hearted stuff and to be enjoyed. For Joanna of Navarre, her experience of witchcraft was anything but enjoyable. This is the marble image of Joanna and Henry from their tomb in Canterbury Cathedral. 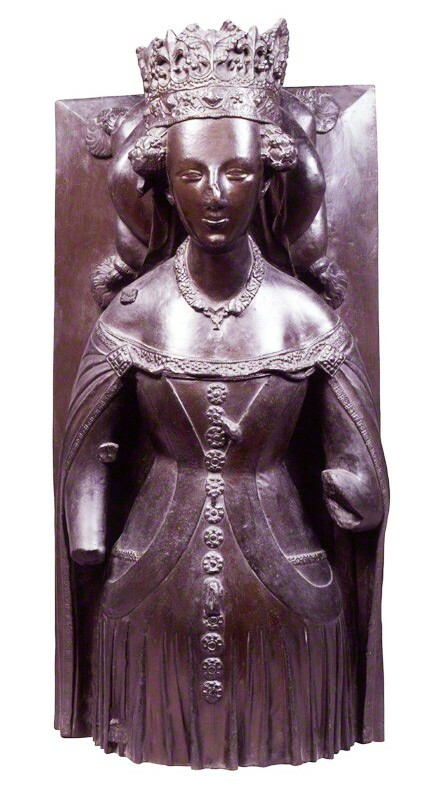 In 1419 Joanna of Navarre, now widow of King Henry IV of England, was accused of necromancy: ‘of compassing the destruction of our lord the king in the most treasonable and horrible manner that could be devised.’ In fact, that by sorcery and necromancy, she had attempted to destroy King Henry V.
Such an accusation must have been quite unexpected for Joanna. After Henry IV’s death in 1413 Joanna had chosen to remain in England, closely in touch with her family-by-marriage. She continued to live in her various dower properties which would remain hers until her eventual death. 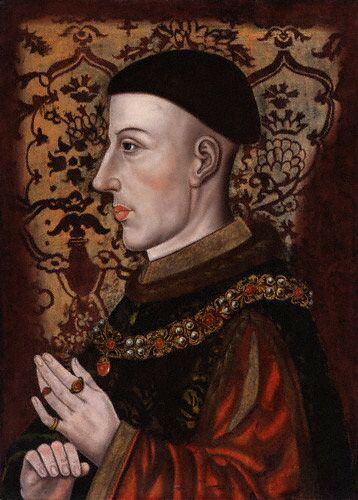 Relations between her and Henry’s children and siblings were excellent, particularly it seemed with the new King Henry V, her step-son. Joanna was given an honoured place at Court, with a role as Queen Dowager in all ceremonial events and particularly the rejoicing after the victory of Agincourt in 1415. And yet she was accused, in 1419, of necromancy and treason against the king. The accuser was her father confessor, John Randolf, a Franciscan friar, and two others of her household, Roger Colles and Peronell Brocart. Father Randolf was said to be the one who had lured the Queen Dowager into witchcraft. A metal cast of Joanna made from the effigy on her tomb. It is the only contemporary image of her that we have. It was made under her direction so perhaps there is some authenticity to how she actually looked. As a result, on the instructions of the Royal Council, Joanna was arrested from her manor at Havering atte Bower in Essex and taken under guard to the royal manor at Rotherhythe in Surrey. 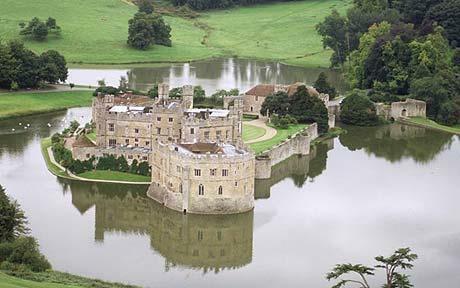 For the next three years Joanna was kept prisoner at Rotherhythe, at Pevensey Castle and latterly at her own previous dower property of Leeds Castle. Her possessions were confiscated, her dower lands and income appropriated and the servants of her household dismissed. 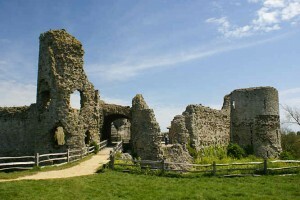 She was placed under the guardianship of Sir John Pelham, owner of Pevensey Castle. Joanna would have waited for her trial with severe trepidation. The penalty for witchcraft could be dire, and against a king it would be treason. The outcome, if she was found guilty, might well have been death by burning. This is the remains of Pevensey Castle where Joanna was imprisoned for a short time. 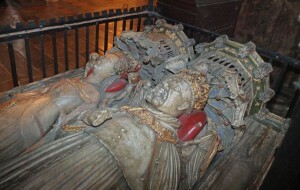 It was used as evidence against her that her father, King Charles ‘the Bad’ of Navarre, had a reputation that included the use of necromancy amongst a range of sins from poison to murder. Like father, like daughter. But was Joanna guilty of this heinous crime? It has to be said that the treatment of the Dowager Queen during these three years of captivity was unusual, with much evidence to suggest that she was not to any degree guilty. – No evidence was ever produced of what Joanna’s crime actually entailed. How did she intend to kill the king? Was it poison? Was it a bewitchment? No detail of the methods used was ever made plain. – Joanna was never put on trial where the evidence would have to be produced and weighed against her. In a crime such as treason, would a trial not have been immediate? Surely her guilt would have been displayed for all to see, and her punishment be such as to deter others from attempting a similar attack against the King. – Her confinement, although she was not free to travel, was not a hardship in itself. Joanna was given a substantial allowance, a household her own with a considerable array of servants and her own treasurer, a clerk called Thomas Lilbourne, who spent the money in her allowance as she directed and for her own comfort. She purchased clothing, food and wine, silver cups, medicinal items, as well as a popinjay. A household of servants was restored to her. She was allowed to ride out in the close vicinity on Sir John Pelham’s horses. Is this the punishment meted out to one involved with witchcraft or treachery? A very romantic view of Leeds Castle where Joanna spent most of her captivity. – Joanna was allowed visitors. It is on record that Bishop Henry of Winchester and Humphrey of Gloucester, uncle and brother of Henry V, both came to Leeds Castle on more than one occasion to dine with her. The Archbishop of Canterbury was also a visitor. There was no suggestion of solitary confinement. – Joanna’s confessor John Randolf was never put on trial. Nor was he punished for his role in the necromancy. He died in 1429 in a prison brawl, it is said with a mad priest. – Lord Thomas de Camoys, a loyal and lifelong friend of both Henry IV and Joanna, moved into Leeds castle to live with her and keep her company for nine months before his death in 1421. Again there was no restriction on the company she kept. And so Joanna, without fuss, was released. Henry personally ordered the horses and litter for her use. Joanna lived out her life in England, mostly at Havering-atte-Bower, until her death in July 1437 at the age of 69 years. She visited court and was well liked by the young king Henry VI who presented her with gifts. One was a tablet of gold decorated with rubies, pearls and a great sapphire, suggesting that she was well loved. So was Joanna guilty of necromancy? All the evidence would seem to suggest that she was not. So if not, who perpetrated the act against her? To say more here would let this most interesting black cat out of its medieval bag. You will have to read The Queen’s Choice to discover more. I am so pleased that you are enjoying The Queen’s Choice, and thank you for taking the time to let me know. The fact that you have mentioned me in the same sentence as Dorothy Dunnett is even more pleasing. She is the writier of historical fiction that I admire most. What a talent! I have now read five of these books about a period so little covered – as far as I know – in novels. It is so hard to combine romance with history without being cliched – immensely enjoyable and revealing. A huge pleasure because of the prodigious amount of research that must have been undertaken. I have just started your book and find that I cannot put it down. This is the first book of yours Ive read and hope I’m able to get more. I live in Israel so there are lots of books we can’t get. This copy comes from England. My daughter’s name is joanna. I am delighted that you are enjoying The Queen’s Choice, Judy. And Joanna is a lovely name. Thank you for sharing your thoughts with me. I am asking my husband to give me this book for my birthday next week. I am attempting my first historical novel set in 1405. 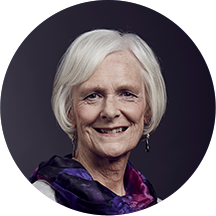 Our ancestor Margaret Washburn lived in Worcestershire and may have stopped Henry IV and Owain Glyn Dwr from fighting there and killed a “French Prince” while doing so . . .I need all the inspiration I can get. Best of luck with the success of your book. I was very interested to discover Joanna possessed the manor of Havering-atte- Bower in Essex, as I am from that part of the country myself, and wonder if her last place of residence was in the palace of Pyrgo Park close by? Essex is well known as a “witchy” county, and Joanna must be the highest-ranking woman accused of witchcraft, although I believe there had been murmurs of Anne Boleyn having been suspected of dark practices. Isn’t the site of Pyrgo still owned by the Crown? Hi Jim, Joanna lived at teh palace of Havering-atte-Bower because it was part of her dower property from Henry. It is highly unlikely that she lived at Pyrgo Palace. From a bit of basic investigation it appears that the first reference to Pyrgo was in 1490, but the house built there was in the 1500s. Joanna lived at Havering in the 1420s before her death. Joanna may have been accused of witchcraft but there was nothing witchy about her – merely an avaricious king who wanted his hands on her dowery. I think it is owned by Essex County Council now – the house is demolished and the Council gained permission to sell off the land for building plots. Your book has inspired me to find out more about Henry, Joanna and the other main characters in the plot. I am particularly interested in the disease that Henry had contracted that was called Leprosy. As I understand it, it is contagious. Is there any evidence to suggest that Joanna may have caught this disease from Henry the fourth? Thankyou, Anne for writing such an enjoyable historical novel which I found hard to put down! Whatever the disease Henry suffered from, the current general opinion is that it was not leprosy. It seems much more likely, from the symptoms, to have been porphyria, which George III suffered from. And no there is no evidence that Joanna caught the disease from him. I am delighted to know that you are enjoying my novels, Elizabeth. Thank you for taking the time to let me know.